Pucker up for one of Ireland’s best loved flavours! If salt and vinegar crisps or chips have the flavour your savour, why not tease your taste buds with Manhattan Salt and Vinegar Peanuts. What a great flavour! 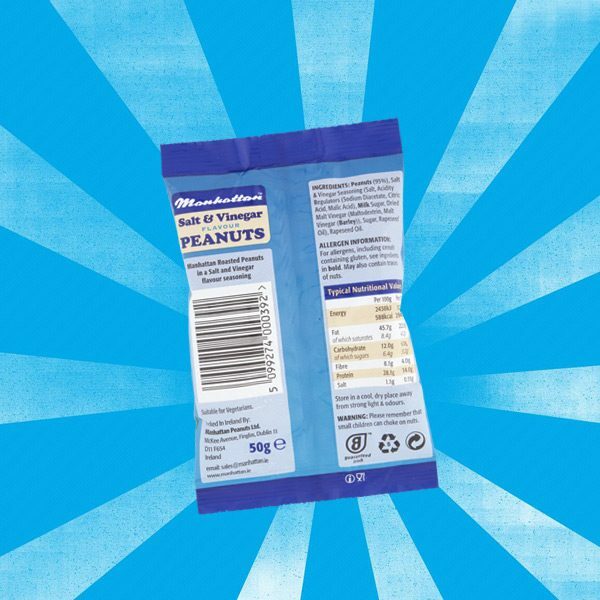 We take our crunchy sourced peanuts and add light sea salt with just enough vinegar to wake up your senses. 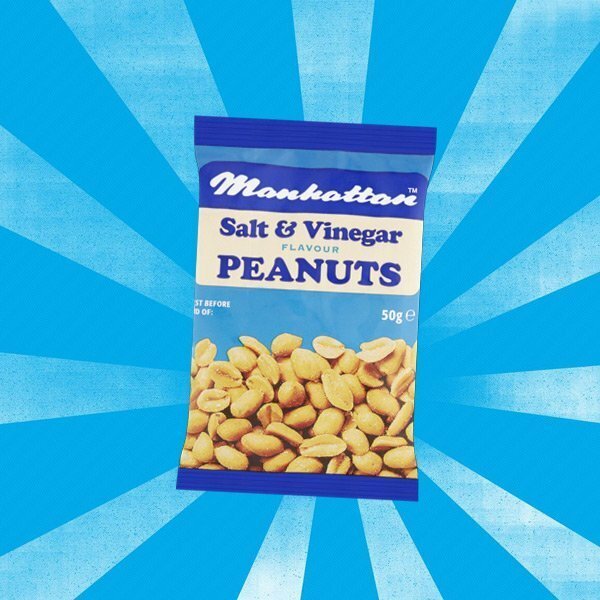 Manhattan dry roasted peanuts with a delicious spicy seasoning are roasted in-house so they’re as fresh as can be. A perfect snack packed with nutrients and taste, they are high in fibre and a good source of protein. 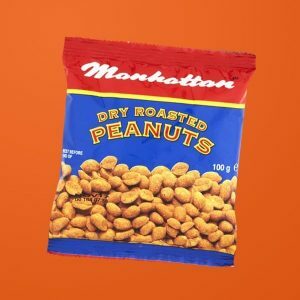 Manhattan Dry Roasted Peanuts are the perfect pick-me-up. No bar, party or function is complete without this firm favourite savoury snack. It’s time to get cracking! 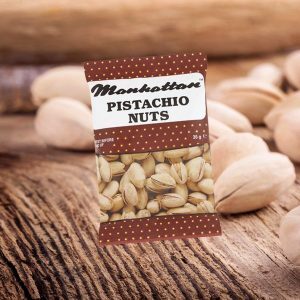 Manhattan Pistachio Nuts are delicious, healthy, and wonderfully nutty. Chockful of healthy nutrients, they are a good source of protein, various fats, and trace minerals, all which are vital for those who wish to stay fit, inside and out. Pistachio Nuts truly are one of nature’s best gifts … be warned, they may just bring out the angel in you! Buy 6 or more jars, FREE postage to Ireland. 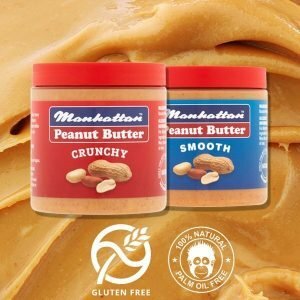 Buy 12 jars – pay for 10! 2 jars FREE plus FREE postage to Ireland.